Location-based services (LBS) allow users to check-in at businesses via smartphone and share their location with other users, in addition to posting photos, comments or reviews. Photo provided by Foursquare. In marketing school it is taught that the purpose of a business is to create a customer. One new way has emerged in recent years to specifically identify new customers, or at least those who opt to check-in. There are a reported 20 million Foursquare users – up from eight million just one year ago – according to a Foursquare report released on April 16, 2012, a social media holiday also known as Foursquare Day. Foursquare's growth is a reflection of not only the company's success but the adoption of smartphones and our increasingly mobile-tech lifestyles. After signing up for Foursquare, and downloading the free application for smartphones, users are ready to check in. 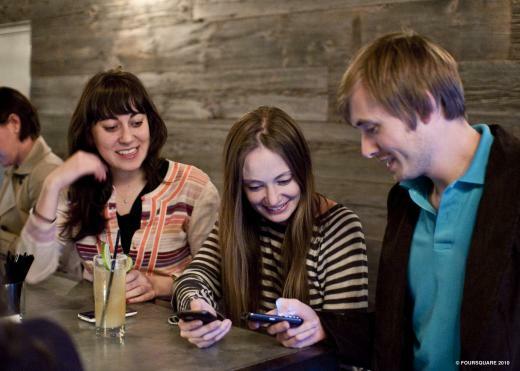 This is done by simply launching the Foursquare application and viewing the Places around you. Foursquare determines a user's location based on the smartphone's built-in GPS. When checking in, users can add comments, tips or photos for a given location. If a business isn't in the Foursquare system, users can add it themselves. As I noted in my April 1 column – 5 Things Small Business Owners Should Be Doing – Foursquare is mostly user-generated. Users check-in on their own; unlock specials that merchants have created and compete with friends on their Leaderboards. With Facebook and photo-applications like Path and Instagram all incorporating location features, other services are following Foursquare's lead. Former Penn State linebacker Nate Stupar didn’t waste any time announcing his new NFL team Saturday night. “I’m a Raider!” the former State College High School star tweeted. He was a seventh-round pick of Oakland, the 230th player taken overall.